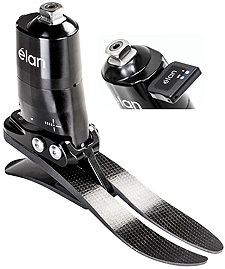 The élan biomimetic foot and ankle system with microprocessor-controlled plantarflexion and dorsiflexion resistance is now more user-friendly. New Micro-D port makes for easier charging and Bluetooth connection. New! E-Series Adhesives Save You Money! New E-Series adhesives can be used for most items you currently use +PLUSeries adhesives for-we find the properties of E-Series adhesives work great when transferring devices and laminating, and when recycling set-up componentry for reuse is desired. Add heat for easy release. Works with all +PLUSeries mixing tips and dispensers. Currently offering 220ml sizes in 60-second gel times, and in tan and black colors. Call for more details. A great alternative to itchy, expensive carbon fiber braid! Coyote Composite, made from basalt filament, is a safe, tough material for composite sockets and AFOs. It's also easy to cut and finish compared to other materials. Our proprietary braid was designed to be used in equivalent amounts to carbon. Coyote Composite is more flexible than carbon (we consider this to be an advantage). 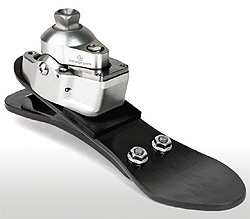 Specifically designed for people with Chopart amputations, as well as Lisfranc, Pirogoff, Boyd, or partial foot amputations, the RUSH76™ has a dynamic design that gives users the ability to be active and do more of what they want to do without limitations. 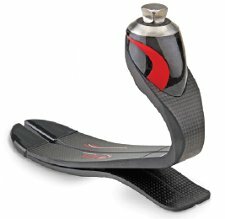 The unique glass composite outperforms carbon fiber and is engineered to be more flexible and durable than any other Chopart device available today. Contact us to learn more about the RUSH76, RUSH81™, or RUSH87™. The RUSH™ feet are proudly handcrafted in the United States. The Guardian Suction Liner from ALPS features raised GripGel bands that grip the socket wall to form a secure interface between the socket and liner to prevent slippage or premature release. These low-modulus GripGel bands stretch against the socket wall, while the inner wall conforms easily to the residual limb to ensure there is no restriction of blood flow or stiffening to inhibit donning. No seams and a single-piece construction improve durability. Available in both transfemoral and transtibial models, the Guardian Suction Liner can be fully inverted for ease of donning. Allard USA is proud to announce ToeOFF 2.0. The same function you have come to appreciate in ToeOFF-just a little face-lift to show you we listened. D-ring straps with alligator tabs are easily applied for right- or left-hand pull and reduce the chance of losing a strap. 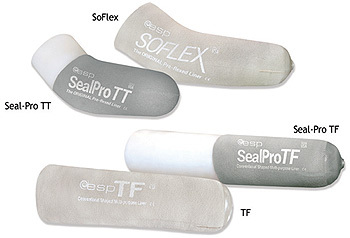 MicroFIX is now pre-applied for faster application of SoftKIT or ComfortKIT. New manufacturing technology offers a smoother and more scratch-resistant surface. The XL has been increased by ¾ in. to accommodate patients with longer tibias. 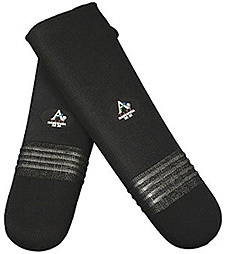 In 2001, Boa launched our premium closure system on snowboard boot brands K2 and Vans. Since then, our portfolio of brands and products has grown to include sporting goods, pro-cycling shoes, golf shoes, utility boots, medical bracing and more. Over 200 brands around the globe partner with Boa for the fit, comfort, and ease of use our technology provides. Brands such as Exos Medical, Ossur, Futuro, Ace, DeRoyal, Dr. 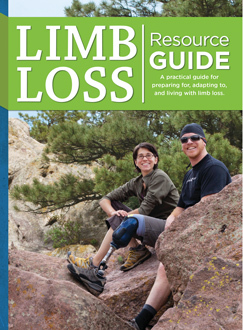 Comfort, and Revolimb have incorporated Boa into medical bracing, diabetic shoes, and prosthetic products. The proven fit, convenience and single-handed micro adjustment of Boa Technology consistently deliver outstanding benefits to both patients and providers. 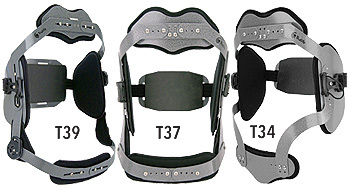 The patented offloading/realigning knee orthosis. Achieve optimal varum or valgum stress without bulky or complex adjustments while the knee orthosis is being worn. The V-VAS™ orthosis treats osteoarthritis, degenerative joint disease (DJD), bowleg, knock knee, knee buckling, and gross medial-lateral instabilities. Its unique, polycentric, adjustable hinge design creates an ideal bending moment that results in the precise offloading/realigning experience. It is the first long axis offloading, closed dynamic frame custom knee orthosis that doesn't need to be removed to adjust offloading. The mechanical axis is always nonbinding and auto-aligning. The medi Tele-ROM™ is a postoperative range-of-motion knee brace that provides the ultimate in adjustability, comfort, and ease of use. Hydraulic feet can provide K2 patients with an incredible range of controlled motion, as well as assist in force absorption, enhance knee stability, and promote good posture. The OdysseyK2™ from College Park has a patented curved hydraulic ankle, Intelliweave™ composite foot base, and customizable dual StrideControl™. This revolutionary foot provides a superior range of motion in a lightweight and low-profile design for an unbeatable combination of K2 patient benefits. See it in action at www.youtube.com/CollegeParkInd, or learn more at www.college-park.com/odysseyk2. 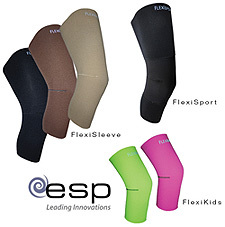 ESP created the Flexi family of suspension sleeves as a comfortable, durable, and cost-effective alternative to traditional suspension sleeves. Preflexed at 43° for maximum comfort and natural unrestricted movement. 30% off list price for a limited time! A perfect balance of stability and dynamics. Featuring a new actuator and kinematic sensor, RHEO KNEE® 3 offers increased resistance across a wider range of stance flexion. This improved support helps increase the confidence of all users, especially low K3 users. At the same time, we didn't sacrifice the dynamics that RHEO KNEE is known for and that high K3 users expect. In fact, we improved the dynamics via a more powerful actuator and a faster swing extension. Contact your Össur® rep today to get certified or to see a RHEO KNEE 3 demonstration. Indications: vertebral compression fractures, osteoporosis, postsurgical support, and osteoarthritis. Contraindications: three-column spinal fractures involving anterior, middle, and posterior spinal structures; compression fractures above T6 (because segmental motion increases above the sternal pad); and ineffective in limiting lateral bending and rotation of the upper lumbar spine. We use Coyote Quick Adhesive in the fabrication of our prosthetic locks, socket adaptors, and valves. It's used for attaching componentry and repairing sockets and is very quick to set, with no sag. It ships non-hazardous, is safe to use, and has no odor. 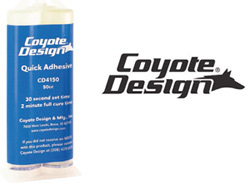 Coyote Quick Adhesive works in any situation when you need something glued quickly and easily. 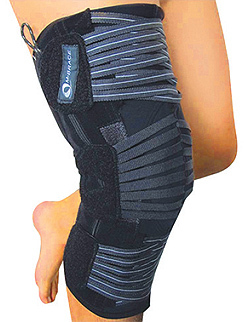 This brace is designed to stabilize the motion of the knee joint, keeping it aligned during flexion and extension movements. Constructed entirely from breathable materials, the next-to-skin layer is made from antibacterial and antiallergy fabric. Its complex structure, equipped with patella stabilizer, offers comfortable containment of the patellar compartment, which is useful in cases of associated conditions (medial or lateral ligament, anterior or posterior cruciate ligament, and patellar instability). Learn more and check out our other products and product lines on our website. The KMO™ (Knee Management Orthosis) features a single posterior joint that is a cost-effective, patient-friendly, and simple approach for static progressive positioning management of the knee. The static progressive positioning is adjustable from 0° to 110° (additional ROM may be attained). The KMO also features an adjustable range of stabilization in the sagittal plane should the patient's condition warrant. Ideal patients for the KMO require pre- and post-operative management of bony and soft tissue injuries. The KMO is PDAC approved; the L-Code is L-1831. 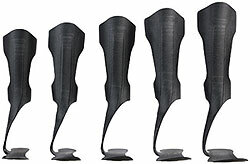 Our anti-perspiration 3D fabrics are suitable for lining corsets, braces, and other orthopedic devices. The regular (TT381) and thermoformable (TT501) 3D fabrics allow air circulation and keep skin dry, thanks to a breathable structure. Coyote Design has introduced two new, heavy-duty, solid brass pin options for its Air-Lock and Easy-Off Lock lines. Coyote found the new brass pins are more durable, have less deflection, and have exceptional wear characteristics. These pins increase the Air-Lock weight capacity from 265 lb. to 350 lb. Like most Coyote products, they are noncorrosive and water resistant, making them great for active people and heavier weight patients, and the pins help eliminate noise issues. CD103P8H (eight click brass pin), CD103P11H (eleven click brass pin), and CD103H (Air-Lock with brass pin). The Most Cost-Effective Liners on the Market! The best just got better. 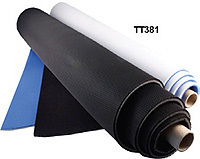 ESP liners are simply the most cost-effective liners on the market. Now with new, enhanced lockstitch textile to reduce pistoning. 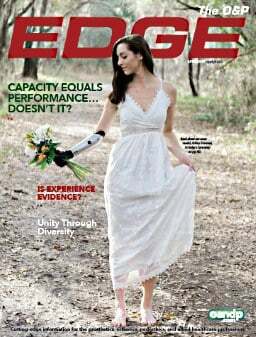 The highly anticipated small bebionic hand is now available through SteeperUSA. 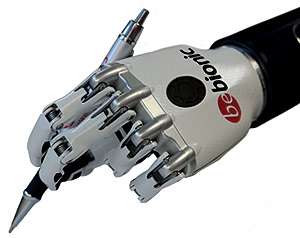 The new small bebionic hand has an expanded range of features, delivering precise control in a highly efficient design. The key element of the new 3R106 Pro is the servo-pneumatic control unit. Its powerful dual-chamber pneumatic unit with progressive damping has a flexion valve set for the patient's normal walking speed. At faster walking speeds, the flexion resistance increases, which prevents too much knee flexion. This helps provide more consistent swing phase even during fast walking. With three options for the proximal connection (pyramid, threaded connector, and lamination anchor) and a 275 lb. weight limit, the 3R106 Pro offers you great fitting options. Call your local sales representative for more information.